What strange fate brings a person to the right place at the right time? What strange synchronicity is at play when something obvious and in plain sight is only seen by that one person? Why it is that only one person could notice a vital clue when everyone else had ignored it? We would normally think of geniuses like Copernicus, Galileo, Newton, or Einstein, not of a Frenchman with the uncommon name of Auguste Mariette. Yet his story will show how almost single-handedly this man changed the course of Egyptian antiquities from one of mindless destruction and desecration to one of responsible preservation and restoration. To put it in other words, the legacy of the pharaohs was saved by a Frenchman with a big heart and huge determination. We fast forward, however, to hear Mariette, on his deathbed, modestly summing up the huge service he had rendered to Egypt. It behooves us to preserve Egypt’s monuments with care. Five hundred years hence Egypt should still be able to show to the scholars who shall visit her, the same monuments that we are now describing. The truth is that, were it not for Mariette Pasha (as he was called in Egypt), the temples, tombs, and all those wonderful Egyptian artifacts would simply have vanished, perhaps even the pyramids--either stolen, sold, or pulverized into oblivion. Mariette’s story could be said to have begun, oddly enough, three millennia ago on the windy and dusty promontory known today as Saqqara. Located at the edge of the western desert south of the Giza pyramids, Saqqara had been the burial ground of pharaohs and nobles since the earliest dynasties. It was famed in the ancient world, however, for its huge labyrinth, the Serapeum, in which the sacred bulls of Memphis, the Apis, were buried in giant sarcophagi. In the late first century BCE, when Cleopatra had just committed her celebrated suicide and Egypt had become a province of Rome, the Greek geographer Strabo (63 BCE-24 CE) visited Saqqara. One has to imagine the place, without modern roads, cars, postcard vendors, hustlers, and “tourist police” soliciting baksheesh from visitors. Probably all that Strabo encountered was a small Roman encampment or perhaps a Bedouin camp within the ruins of the great Step Pyramid Complex or, a little farther north, a strange open-air temple where statues of the Greek philosophers stood in a semicircle. And, luckily for Mariette many centuries later, what Strabo saw strewn on the sand he diligently reported in his Geographica (a seventeen-volume opus that is regarded as the first-ever book of geography). In that typical delightful and eloquent archaic Greek style, the father of geography describes in volume seventeen of Geographica an alleyway (dromus in Greek) of sphinxes, some half buried in the shifting sand, others with only their heads sticking out, which led toward a temple dedicated to the god Serapis. Oddly, no one took Strabo’s report seriously about the Serapeum of Memphis (Saqqara), at least not until the arrival of Napoleon in Egypt in 1798, when apparently some of his savants undertook a hasty search but gave up when they found nothing. François Auguste Ferdinand Mariette (1821-1881) was born in the seaside town of Boulogne-sur-Mer on the northern coast of France. 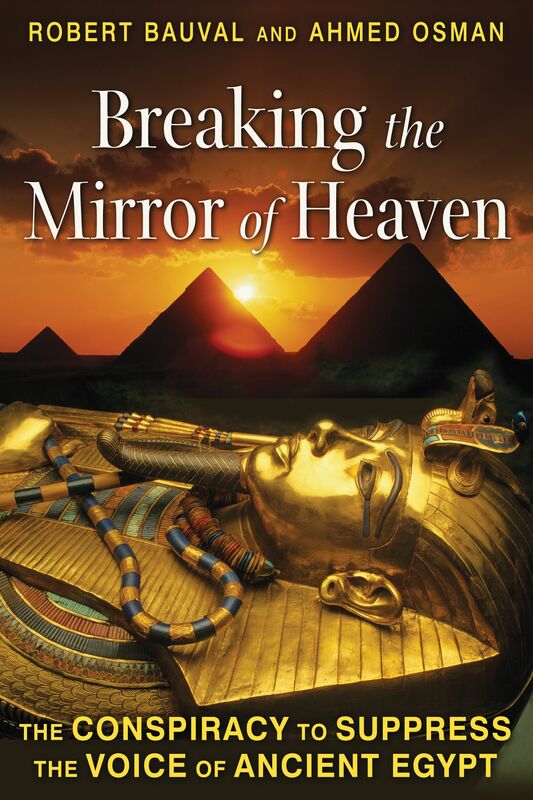 Mariette’s interest in ancient Egypt began when he was six years old. He had a great ability for languages and taught himself Egyptian hieroglyphics, demotic script, and Coptic. When he was only twelve he was able to read ancient Coptic texts. Mariette first worked as a teacher in a school in Douai but got indirectly involved with archaeology by writing articles for a local magazine to supplement his meager salary. His work on a catalogue of the Egyptian gallery in the Boulogne Museum grabbed the attention of the Louvre Museum, and, in 1849, he was offered a minor job working on Coptic and other ancient manuscripts. The amazing romantic discovery of the fabled Serapeum properly begins with the arrival of Mariette in Egypt in 1850. Mariette had been sent by the Louvre Museum to collect Coptic and other ancient manuscripts in Alexandria and Cairo and had received a modest budget. The project became difficult because the Coptic monks, having been tricked before by French traders, refused to deal with Mariette. Rather than abort his mission, Mariette made the decision to use the funds of the Louvre to do some private archaeological excavations. He chose Saqqara as the most promising site. Did it not seem that Strabo had written this sentence to help us rediscover, after over eighteen centuries, the famous temple dedicated to Serapis? It was impossible to doubt it. . . . Undoubtedly many precious fragments, many statues, many unknown texts were hidden beneath the sand upon which I stood. At that instant I forgot my mission [obtaining Coptic texts from the monasteries], I forgot the Patriarch, the convents, the Coptic and Syriac manuscripts . . . and it was thus, on 1 November 1850, during one of the most beautiful sunrises I had ever seen in Egypt, that a group of thirty workmen, working under my orders near that sphinx, were about to cause such total upheaval in the conditions of my stay in Egypt. Mariette was convinced that the buried avenue of sphinxes at Saqqara was the very same described by Strabo. Mariette urged his workforce to expose the avenue, which led him to the entrance of the fabled Serapeum, built like a kind of huge underground maze. Upon entering the ancient labyrinth, Mariette immediately realized that he had hit the jackpot!